The 2018 NYC Windup Watch Fair is just two days away, kicking off this Friday and running through the weekend, and we couldn’t be more excited. Now in its fourth year, this weekend’s Windup Watch Fair is easily our biggest one yet. With over forty brands present, including many newcomers and returning participants alike, there’s definitely something for everyone at the show. To see the full roster of brands, check out the dedicated Windup Watch Fair website. We’re very happy to have Oris on board as our lead sponsor for 2018. Oris will be presenting a full range of pieces for sale and their team will be available all weekend to answer any questions you may have. We’re also pleased to have additional support from Farer, fresh off the release of their new chronograph collection, and StockX, an innovative platform for buying and selling watches. These sponsors help make Windup an incredible show that is free and open to the public, so many thanks to them. Returning participants include some the most popular brands we cover on Worn & Wound, including (but not limited to) Autodromo, Crown & Buckle Black Label, Dan Henry, Farer, Itay Noy, Junghans, Monta, Oris, Stowa, and Zelos. We’re also extremely excited to be welcoming some great brands to the Fair for the first time, including anOrdain, Damasko, Laco, Lorier, Mido, and StockX. Just some of the old and new participants you can expect at this year’s Windup. 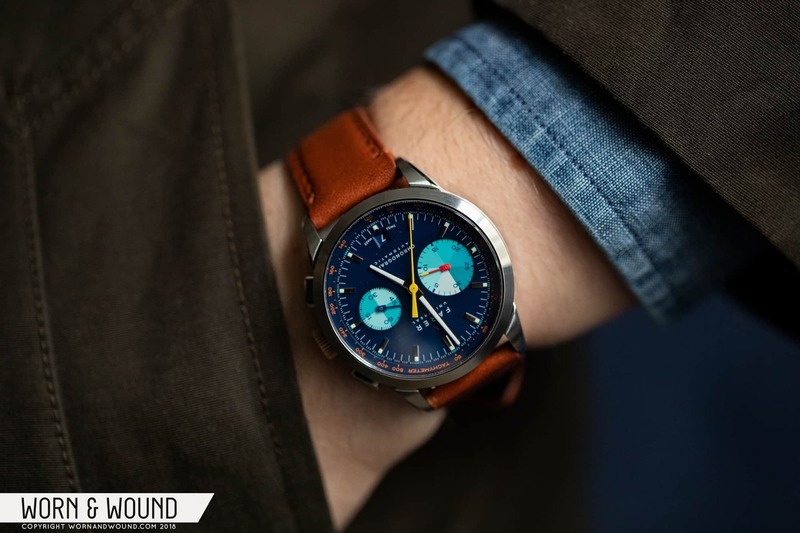 So whether you’re looking for a new watch or just interested in geeking out over watches with likeminded people, Windup’s the place you need to be. It’s going to be a blast and we can’t wait to see you there! Come See Oris at Windup Watch Fair 2018!